So far I’m off to a bad start with this blogging thing! It’s been over a week since my last post but I wanted to share a couple images of one of my May couples from our e-session yesterday. Jeannie and Dave are tying the knot May 12 in Alexandria. Dave lives in California so he was here for the weekend and we squeezed in a shoot after an attempt to do this in February in sub-zero temps! They are a very sweet couple and I look foward to their wedding! Okay, so this is a first. I honestly never thought I would do this — become a blogger but at the advice of many in my industry, I have relented and will do this occasionally! As long as it doesn’t take too much time, I’m game. My hope is to allow my customers and potential customers to get to know me better as well as see some photos from their shoots. And/or for my family here and overseas to check out photos and read what’s up on our end. For those of you experienced bloggers, any and all advice is welcomed! wish me luck! Since I don’t like to have my OWN photo taken, I’ll post some of my kids. 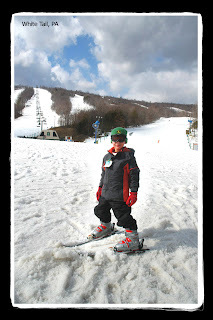 My oldest son learned to ski for the first time a couple weeks ago up in PA. He told me he only cried twice! Once, from falling, the other time from pure fear of the ‘big’ hill! But otherwise loved the experience. The other milestone is that my youngest turned 4 on March 6. He’s quite proud of himself and b/c we celebrated his birthday twice, once on the day of, and then that weekend with friends, he thinks he’s actually 5.